The EGO Power+ ST1500E 15 in. 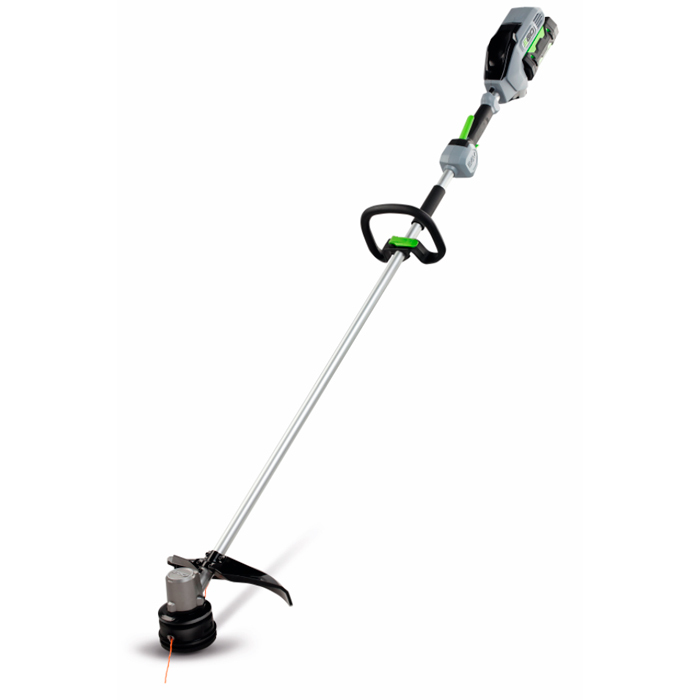 String Trimmer is the next, big step up in power and convenience for cordless string trimmers. The first-ever 56-Volt Lithium-Ion battery and a new, high-efficiency brushless motor deliver unrivaled cordless power. The 15 in. cutting swath and extended aluminum shaft make for efficient trimming around your yard. The EGO Power+ 15 in. String Trimmer delivers the performance of gas without the noise, fuss and fumes.